This is one of my favorite posts, published here last year on 3 November 2008. It is a fantastic idea, this memorial for lost and worn-out toys, and one which I think could work well in the U.S.
At the beginning of my 10th month of blogging I'd like to open with these images showing the practice of an utterly fabulous idea--an eternal resting place and shrine for broken playthings. This is an absolutely outstanding concept, and I simply have no notion as to why we don't have such observations in the United States. (The following two details are from the larger images, below, found in the 27 July 1929 issue of The Illustrated London News, page 157.) The story provides these two pictures and unfortunately scant details of the ceremony which was held at the Imperial Primary School at Sugamo, Japan. Even though masses of people had been used in panoramic photography for some years (thousands of people, usually soldiers, gathered to form a living liberty bell, or portrait of George Washington, or some such thing) , I cannot recall the use of humans as a direct statistical aid as in this bio-bar graph, found in the pages of The Illustrated London News for 1912 (page 357). The article asks the question of whether air travel (and flight in general) was "safe", and responded by graphing its "yes" response with this image. The larger groups in the top half of the image represent the number of flyers flying for that particular country; the small groups below show the number of aviators killed. (There is no date of reference in particular but it seems to me that these are total deaths since flying began in Europe in earnest in 1905.) The photomontage below shows a selection of some of the most famous dead aviators. The number of deaths as a percentage of those flying seemed quite acceptable in the year of publication (1912) ; however if these figures were iterated forward to 2009 the death rate would be staggering, sending many thousands of aviators (and crew and passengers) to their deaths each year. In the United States we save that safety failure for deaths in automobile accidents, which still kill about the same number of Americans each year as were U.S. soldiers lost for the entire war in Vietnam. In spite of this the odds for survival looked pretty good in 1912. I initially chose this pamphlet to be part of a larger series on terrific/unusual/bizarre cover designs--unfortunately its contents got in the way, a little. 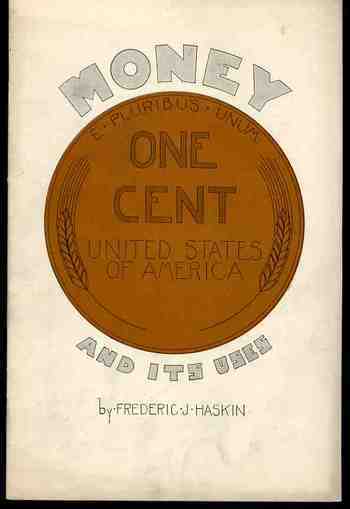 The cover still borders safely on the unique, and so does most of its contents, except for the graphical analysis of the depreciation of worldwide currencies that appears on its back cover. Here the information is actually pretty useful and unusual. It would've been more useful had the author included an end date for his comparisons--all we know is that he is looking at 1929 and the beginning of the Depression as a jump-off point, and we can assume that the end date is before the date of publication of the pamphlet (which actually isn't stated). Still, the graph is almost very useful. It is for this reason that Money and its Uses Winds Up in the "Blank and Empty Department" for its diligent but ultimately useless graphical display of data. Earth, surrounded by concentric spheres of animals, minerals, intellectual practices (I can easily see “arith”metic, “geom.”etry, “musica” and others represented), water and Earth, the planets(including the Sun) in their courses, the starry realms, and then several spheres of I’m-not-sure but heavenly and ethereal. Man as ape is seated chained to Isis, the giver of life, and contemplates (with dividers) a model of the sphere on which he is seated. 1. Isis (also know to different cultures as Minerva, Aphrodite, Ceres, Hecate) was an ancient Egyptian/Greco/Roman goddess, idealized as the perfect mother, the Great Mother, patron and issuer of nature, magic and fertility—the giver of life, a Madonna. She was the daughter of Geb and Nut (god of the Earth and goddess of the sky) and husband of Osiris, and was in general very high-power stuff. On this day, which may or not be the 40th anniversary of the first use of the internet (and the 80th anniversary of the collapse of the stock market of ’29, and Lucy A’s anniversary of her birth) it might be good to remember an earlier version of the internet and the semi-invention of the concept of hypertext: the MEMEX machine of the under-remembered Vannevar Bush. Vannevar (pronounced “van ee var”) was a flinty no-nonsense New Englander who was an organizational and mechanical genius who as a professor at MIT developed a remarkable analog computer that greatly advance computation capacities for solving differential equations. This was in the 1930’s, and even after creating an improved electromechanical version of the machine still chose the wrong way to go in the soon-to-materialize digital computer revolution. During WWII Bush was one of the most important Americans in the war effort, overseeing the entire scientific effort of the U.S.—an enormous effort dispatched beautifully (and successfully). His importance in this regard is difficult to overstate. But right there at the end of the war, when he was organizing a still-secret effort of controlling the spread of atomic weapons (before Hiroshima), Bush was also thinking about the future of the organization of human knowledge and memory. And published it, too, in the popular Atlantic magazine in July 1945. (It was republished in a shortened version a few months later in September—it remains to this day, according to an editor at Atlantic, one of the most often-requested reprints) where it reached a reading audience of millions. The article, “As We May Think”, outlined his idea for a device he called the MEMEX1 (“memory” and “index”), which compressed and organized all that its user could remember and whatever information would be obtained in the future via electromechanical apparatuses, and available with associative tracking between the microtext frames. So all manner of book and papers and reports and newspapers and images would be microphotographed and stored in a beautifully-indexed mechanical retrieval system where it would live with the information of others. There was also the possibility of real-time textual additions to whatever it was that was retrieved, the genetic precursor of hypertext. Bush’s thinking has been deeply recognized (and also by the creators of the internet) as the intellectual grandparent of the modern internet. I just thought on this day that the man who saw more clearly into the future on advanced global communication and societal memory should be remembered on a day when his grandchild came into being. The physical plant of the MEMEX: “A memex consists of a desk, where on top are slating translucent screens on which material can be projected for convenient reading. Within the desk were mechanisms that stored information through microphotography. Most of the memex contents are purchased on microfilm ready for insertion. On the top of the memex is a transparent platen. When a longhand note, photograph, memoranda, and other things are in place, the depression of a lever causes it to be photographed onto the next blank space in a section of the memex film, dry photography being employed.” Manovich, Lev. "As We May Think", The New Media Reader and wiki on The Memex. Artists seem to have discovered street vendors a long time ago, beginning at least as far back as the 15th century. Annibale Carracci (1560 - 1609), a great Baroque master, committed dozens of street sellers to his notebooks but were all lost to time except for the copies of them that were made and etched by Simom Guillain in 1664. These and prints like these provide glamor and realistic fragrance to the complexity (read=”grit”) of city life 400 years ago. The etching of the painting seller gives us an insight into what may have been a broken and glutted art market in Bologna in the 1590’s. Another master of common life was the sculptor Edme Bourchardon who engraved a series of dozens of such folks selling their stuff in the street, walking here and there, waiting to be given some money. Bouchardon more so than Carracci/Guillain provides a little more grit to his grit, showing some more wear and tear to faces and clothing, giving the backgrounds some darkness and depth. For example, “L’Orge de Barbarie” shows an itinerant woman peddler, playing her (revolving disk?) organ with a vieu optique cabinet on her back: neither of which was particularly light, nor made of some handy light asian hardwoods bought down at the local China-friendly Megalo-Mart. *This* was a working woman. nobody in the pamphlet wanted to be there, at all. The woman in this picture being sold a box of rabbit choppings by the undertaker-like salesman (“you!”) looks at the gift as though she hoped for it to be a box of donuts. And who wouldn’t? Wouldn’t it be easier to imagine someone hopping out of their chair at the sound of the doorbell saying “hey, that’s the Do-Nut Man!” rather than “hot damn! The rabbit-pieces-in-a-box guy is here!”. I should say so. And that’s why I’m voting for itinerant rabbit-bit salesman as elevated in the Bad Jobs department. Oddly enough, one of the earliest surviving Renaissance artworks depicting street vendors is this: a man selling rabbits. The great money maker here might have simply been the publisher, Ralston Purina Company (of St. Louis, MO), which sponsored and published this pamphlet to excite people to grow their own small rabbit farms and to feed their bunnies Purina Rabbit Chow. Odd Art Department: Art Brut in Advertising? There's not much in this illustration--the entire back page of an oversize pulbicity tourist pamphlet--to suggest any sort of professionalism, or training, or, well, ability. But there it is, badly drawn, with unusual (if not bad) coloring, trying to entice people to visit this seaside resort in New Zealand. Maybe this is more “outsider art” than Art Brut. Art Brut was a term used by Jean Dubuftet to describe raw/rough art produced by non-artists (and those mostly mental asylum residents1). Art critic Roger Cardinal coined “outsider art” as a English-language adaptation of the Dubuffet term2, and has since come into use to describe unusual, technically naïve and unschooled Otherness of artworks. This cover illustration is certainly bearing a pretty good-sized helping of otherness to it, from its pale, weird coloring to its basic inability to draw. Somehow though it is attractive to me, and ultra-calming when it is not troubling. It is just one of those peculiar works that is good and bad at the same time. 1. A spectacular and early example of Art Brut is found in the phenomenally detailed, insightful-of-other-worlds work of Adolf Wolfli. 2. "Those works created from solitude and from pure and authentic creative impulses - where the worries of competition, acclaim and social promotion do not interfere - are, because of these very facts, more precious than the productions of professionals. After a certain familiarity with these flourishings of an exalted feverishness, lived so fully and so intensely by their authors, we cannot avoid the feeling that in relation to these works, cultural art in its entirety appears to be the game of a futile society, a fallacious parade." - Jean Dubuffet. Place à l'incivisme (Make way for Incivism). Art and Text no.27 (December 1987 - February 1988). This finely produced, 75-page pamphlet lists all you need to know about marketing and maintaining a corset department in 1939--all except how to actually get back to 1939 to utilize this font of knowledge. It was published with great seriousness for a serious business by the School of Retailing at New York University, a serious object for serious people. Among the many things I’ve never thought of before thinking with this pamphlet were corset maps--and one of these happens to appear in this publication, a map of an idealized corset department, which to me looks to be large, sanitized and medicinal, an oddly institutionalized presentation of an intimate something, something more of artistry and chance and possibility than an orthotic. I should think that I would like to make a Kingdom Map for his image, some day. It looks to me ready to accept the responsibilities of landforms or ideas or statistics or changes or comparisons in place of its plain nature of counters and countertops and display cases, empty boxes waiting for something a little more invigorating to depict. Or maybe not, maybe the chance of display of transformations is enough to suit its peculiar, perhaps singular, needs. Or maybe on the Corset Map instead of substituting land and sea for corsets and boxes, one could substitute the noises of a quiet house at night, or the sound of heavy boots in a brittle-dry snow in the deep cold. Or maybe a map of the discovery of children's laughter, or inconvenient pauses in conversations through the history of human speaking...or a map of lost ways. Maybe the Corset Map could be used for a template for the things we will forget and the things we've forgotten, in which case the boxes need not be filled in, giving us a new version of the Bellman's Map from Mr. Dodgson, a new subcategory of maps--the blank map. Or it could be the outlines for a map of the places that you meant to say something, but didn't. Perhaps it could be used to outline where and how many times that people tell/told you that they'll miss you if you step away, making hollow boxes of simple loneliness because we can't be there all of the time. Or maybe the corset map is just a corset map. [This item is available for purchase, here.] The other surprise is how expensive these undergarments were. For example, the Lily of France and Mme. Irene Corset Company (NYC) sold a girdle “for the heavy figure” (liberally sprinkling the word “heavy” throughout the description of the product like, well, sprinkles) for $132. The $132 corset is equal to about $2000 in today’s currency, or roughly a 15:1 increase. There were girdles and etc. in all price ranges, but the (1939) $30-$60 range seems to have been the most common; even still, the $30/low-medium quality item is about $430 in today's dollars, and the cheapest of them all at 5 bucks goes in today’s economy at 75 dollars or so. I’m not familiar with the value of undies today, but this sure sounds like a whole hell of a lot of money. $132 for underwear in 1939 was a tremendous amount of money for the average person—even for the upper-middle class, it was a bunch, considering that you could buy a decent new car for $700. It would also be equal to a half year’s worth of an average house rent ($28/month) and 1320 gallons of gasoline. It sounds like it was very expensive to keep the up with the idea of an ideal figure, which of course was partially create by this same sort of company, creating both need and demand for its product. Earlier today I made a post on some of the images in my collection of WWI News Service Photographs. (These were photos that were sold by an image agency to newspapers and journals which looked for stock photos of, well, whatever, and after paying a use fee would include the photo in the story they were reporting.) This photo is one of three in a series that show German POWs being marched around a town in France and stopped here and there for a photo. The picture was taken deep into 1918, within a month or two of the end of the war,.when the Germans were already defeated. From the look of things, these soldiers were done: tired, mostly beaten, dirty. They at least had most of their buttons on their coats (which is actually a very big deal, keeping your overcoat closed in cold weather to keep warm and alive), their boots looked warn but intact, and they looked not terrible undernourished (though I doubt anyone in the group weighed more than 150 pounds). The group is bookended by two remarkable figures: the soldier on the left looks not 16 or so, but with a not-new ground in toughness. He's all smooth face and baby fat, though he has at least survived the grueling fighting. The soldier on the right could be the prototype for any number of propaganda posters that popped up in Berlin in the early 1930's advocating the sold-out but not defeated German soldier of the Great War whose fate must be avenged. Almost everyone was cupping a ciggy. Lastly, the guy third from the left seems to be a Canadian guard, not that this group was going to try to escape. In my collection of WWI News Photo Service Agency photographs I would say that half or so of them show scenes like this--semi-informal group portraits of military support groups. 500 portraits like this seem to be a lot, and I'm not sure why these images are so well represented. Except of course that there weren't that many images (overall) of active-battle scenes. These bakers, working at a front-line support station, from my read were probably taking a break, and the photographer took the opportunity to draw them together for the portrait. I don't know why they're separated so, but they do look as though they have a real camaraderie--it is just a wonderful picture, full of friendship and loyalty, and I'm sure it has never been published before. The idea of representing a view straight down, of looking straight down from some height, is a relatively recent occurrence, this view being somewhat rare in the antiquarian world pre-balloon or pre-heavier-than-air flight. The pre-human-flight reason for its scarcity is understandable, but even after the first Montgolfiers’1 ascension in 1787, there’s another 120+ years of scarcity yet to come before these views would start to pop up in common (and uncommon) literature.. Now I’m not talking about cartography, which is basically a straight-down view of the world—what I’m referring to (and where I’ve posed a few time before in this blog, particularly here) is that same view but not as a map per se, but what you would see if you were dangling out of a plane or balloon. The extraordinary map of Imola by Leonardo would certainly classify because of its you-are-there qualities: essentially it would be like a bird’-eye or oblique view, but straight down. I think that this view was avoided because (in pre-flight days) of the high imagination that it took to picture the view, and, secondly, because of how this view created its own special Flatland2 and crunched, flattened, everything down to what becomes somewhat (and sometimes entirely) unrecognizable. This point was just hammered home to me while trolling through an interesting book by Matthew Biro, The Dada Cyborg3. Biro makes a great find of unintended/found Dada illustration in the Berliner Illustriete Zeitung4 in which a photographer makes images of passing pedestrians, turning them into quite something else due to the squashed depth of field and non-perspective. The photos make the point perfectly of why artists might have avoided this straight-down perspective. The Found Dadaist result is interesting in itself. 1. The two brothers launched 4 June 1783, just before the end of our Revolutionary War, rising up in a 37,000 cubic foot balloon of alum-coated taffeta. 2. Edwin Abbott’s fantastic and popular 1884 satire of English society, depicting the world of wants and desires in terms of a two-dimensional world structure (and desires for a three-dimensional existence). Brilliant and simple; well, maybe not so simple. 3. The Dada Cyborg, Views of the New Human in Wiemar Berlin, University of Minnesota Press, 2009. 4. 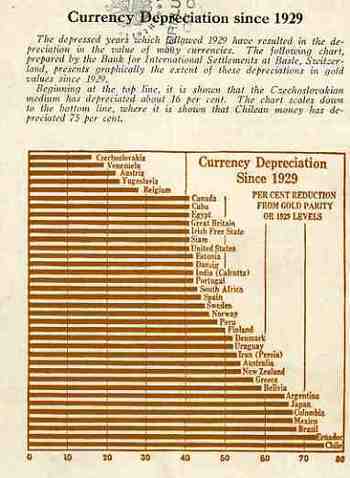 The issue for 29 December 1919. This is the Berlin version of the weekly newspaper that I browse through, the Leipzig Illustriete Zeitung. It is difficult to imagine the impact that Pieter Camper's intellectual leap had on his fellow anatomists back at the turn of the 19th century with this image1--with a mass of collected data, Camper was able to realistically suggest the facial qualities of a skull. I'm not sure exactly when this effort was first made, but it seems to my memory that this is a very early effort. But the mass of Camper's work generally takes a bad turn turn when it came to representing his findings with theory. "...some attribute peculiar to the quarter of the world; or the specifications of some singular ornament, peculiarity of dress, or of custom…. Thus, an Asiatic is distinguished from an European by colour and dress: the African and American, being somewhat similar in colour and dress, are known by the addition of a crocodile and elephant, a cargo of tobacco, incision of the skin, tatowing [tattooing], plumes of feathers, &c."
Which leaves us, well, nowhere. He collected some great data, but Camper was able to advance little beyond its diagrammatic representation: theory was not his calling. 1 The engraving comes from Camper's posthumous Dissertation sur les variétés naturelles qui caractérisent la physiognomie des hommes de divers climats et des différens ages suivi de réflexions sur la Beauté; particulièrement sur celle de la tête; avec une Manière nouvelle de dessiner toute sorte de têtes avec la plus grande exacitude.